In a large mixing bowl, mix the first 8 ingredients until evenly combined. Add the chicken, broccoli and rice and fold until evenly coated and ingredients are mixed. Pour into prepared pan. 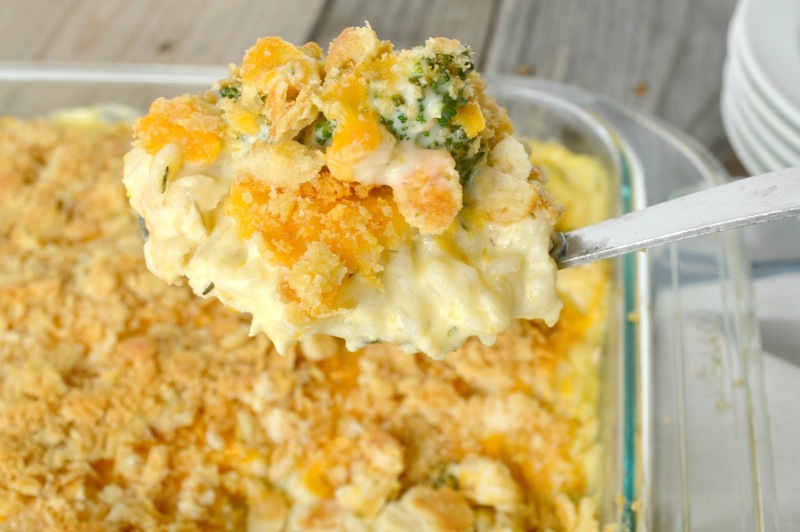 Sprinkle the top of the casserole evenly with grated cheese. In a small bowl, mix together panko, dried thyme and melted butter. Sprinkle evenly over cheese layer. Bake in preheated oven 30-35 minutes or until casserole is heated through and panko crumbs are golden brown.